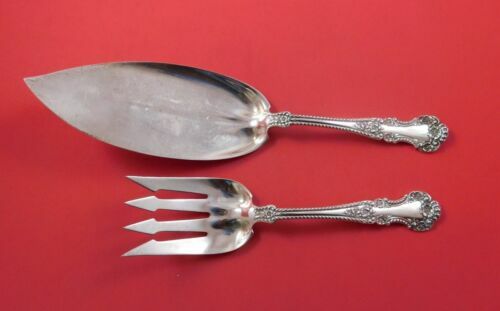 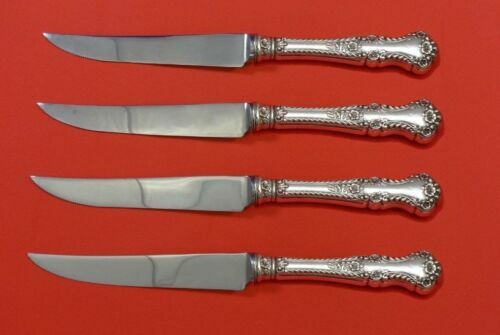 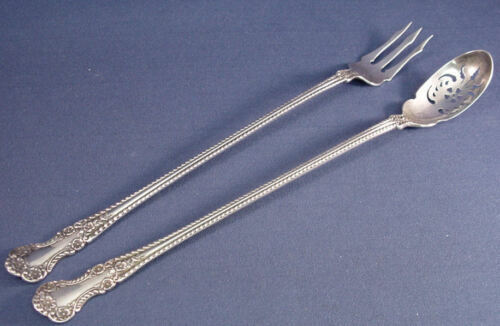 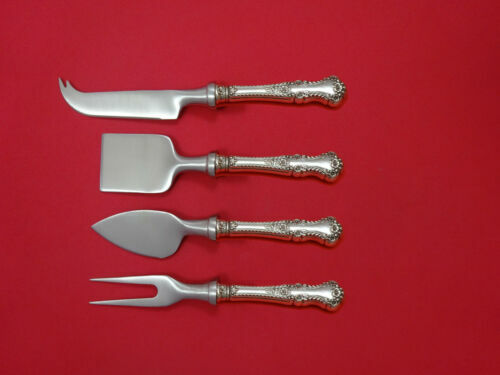 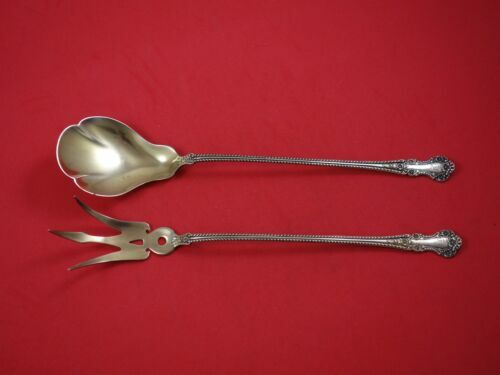 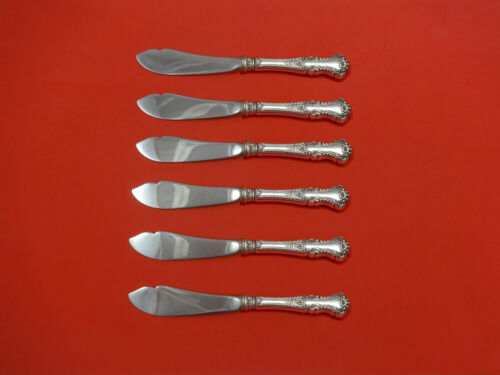 $289.0 Cambridge by Gorham Sterling Silver Salad Serving Set Two Piece GW 8 1/2"
$149.0 Rare Large Gorham Cambridge Sterling Silver Chipped Beef Serving Fork 7- 5/8"
$389.0 Cambridge by Gorham Sterling Silver Pea Spoon 8 1/2"
$289.0 Cambridge by Gorham Sterling Silver Cake Saw Serrated Fhas 9 1/2"
$389.0 Cambridge by Gorham Sterling Silver Pea Spoon 9"
$809.0 Cambridge by Gorham Sterling Silver Bouillon Server with Spout Rare 9 5/8"
Buy: $147.0 Set of 6 STERLING SILVER BOULLION SPOONS. 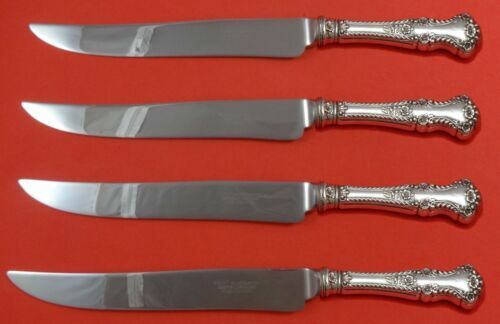 1899 GORHAM CAMBRIDGE PATTERN. 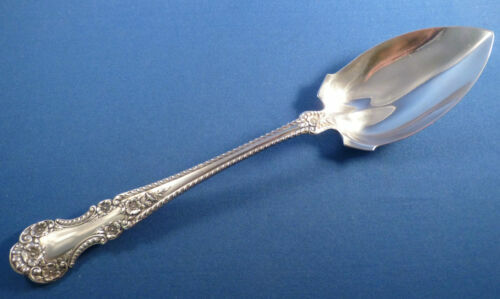 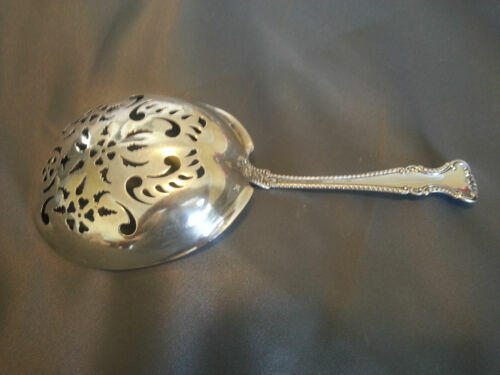 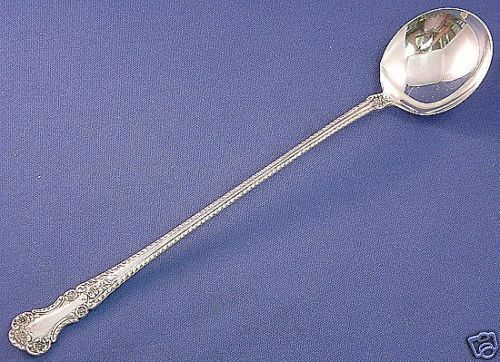 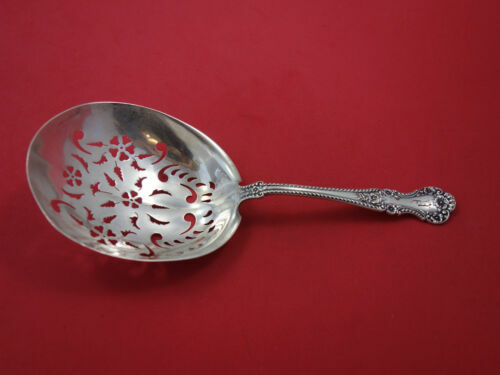 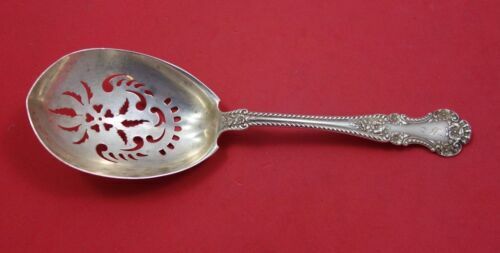 $279.99 Cambridge by Gorham Sterling Pea Spoon-8 3/4"
$509.0 Cambridge By Gorham Sterling Silver Saratoga Chip Server 8 1/4"
$289.0 Cambridge by Gorham Sterling Silver Vegetable Serving Fork 8 1/2"
$249.99 Cambridge-Gorham All Sterling Asparagus Fork- Mono'd 9"
$259.0 Cambridge by Gorham Sterling Silver Vegetable Spoon Gold Washed Pointed 8 3/4"
$289.0 Cambridge by Gorham Sterling Silver Bouillon Ladle 8 3/4"
$389.0 Cambridge by Gorham Sterling Silver Asparagus Fork 5-Tine 9"
$289.0 Cambridge by Gorham Sterling Silver Vegetable Serving Fork Gold Washed 8 1/2"
$249.99 Cambridge Gorham Sterling Waffle Server 7 3/4"
$59.0 Gorham Cambridge Sterling Serving Spoon 8 5/8"
$323.1 Cambridge By Gorham Sterling Silver Asparagus Fork 5 prong, 9"
$169.0 Cambridge by Gorham Sterling Silver Tomato Server 7 1/4"
$289.0 Cambridge by Gorham Sterling Silver Steak Knife Set 4pc HHWS Custom Made 8 1/2"
$389.0 Cambridge by Gorham Sterling Silver Salad Serving Spoon Gold Washed 10 1/4"
$389.0 Cambridge by Gorham Sterling Silver Fish Server w/Applied Design 11 1/2"
$11.99 2 Vintage Silverplated Serving Spoons, Cambridge and ? 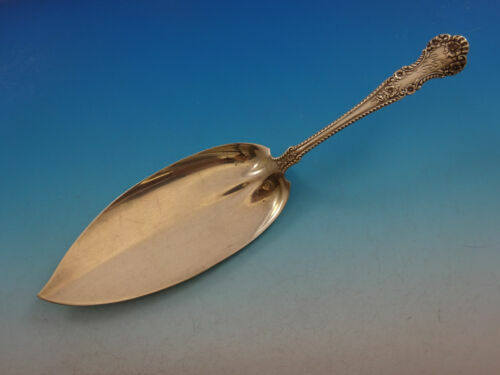 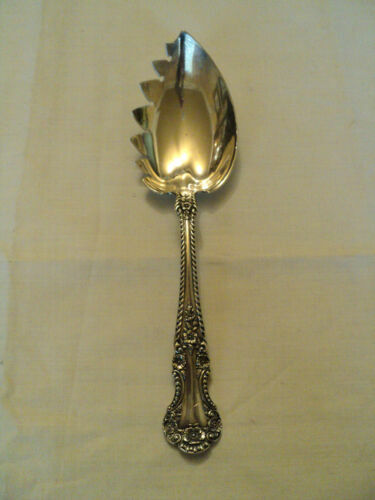 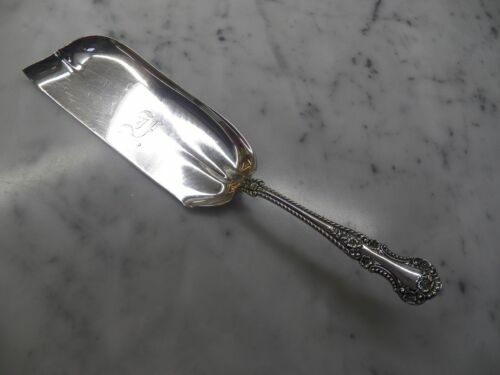 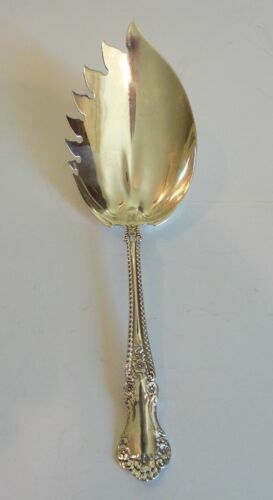 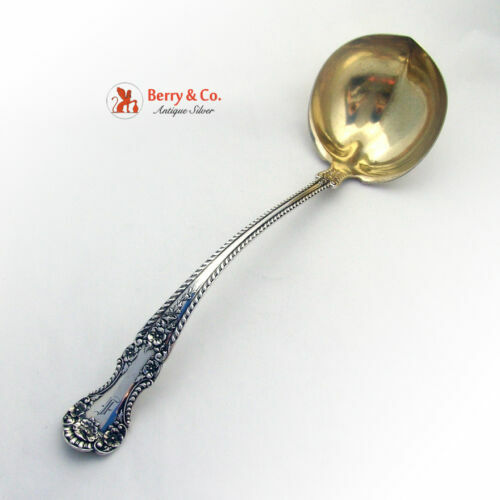 $157.25 Gorham Cambridge (1899) Sterling Silver Ice Cream Slice - Monogram 12-1/8"
$169.0 Cambridge by Gorham Sterling Silver Tomato Server Gold Washed 7 1/4"
$165.0 BEAUTIFUL GORHAM "CAMBRIDGE" STERLING SILVER FISH SERVER 11 3/4"
$289.0 Cambridge by Gorham Sterling Silver Pie Server AS 8 3/4"
$199.0 Cambridge by Gorham Sterling Silver Salad Serving Fork Goldwashed 8 3/4"
Buy: $21.25 Gorham Sterling Silver Cambridge Gold Wash Cream Soup Ladle 5 1/4"
$409.0 Cambridge by Gorham Sterling Silver Ice Tong 6 3/4"
$209.0 Cambridge by Gorham Sterling Silver Fish Server FH All-Sterling 10 1/4"